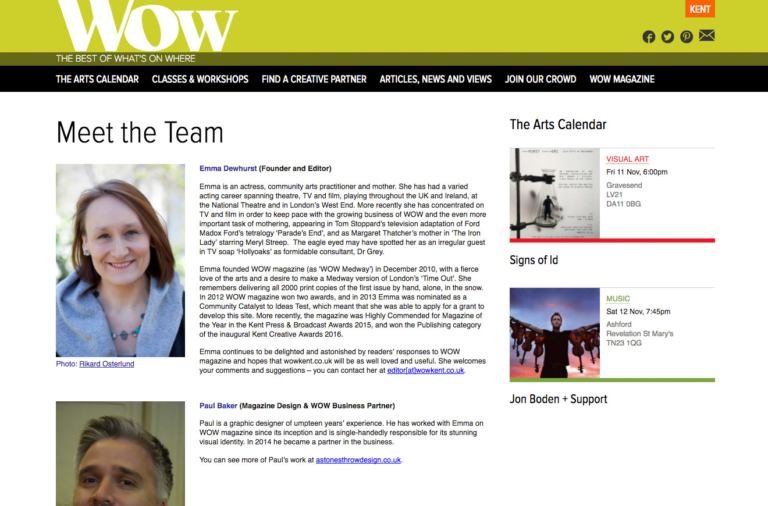 Wow Magazine is am initiative run by the actress Emma Dewhurst in Kent. Initially a small printed monthly booklet Wow showcased the best of what’s on in the Medway region. When Emma approached us, bringing the project up to date by creating an online presence was becoming an increasingly concern. 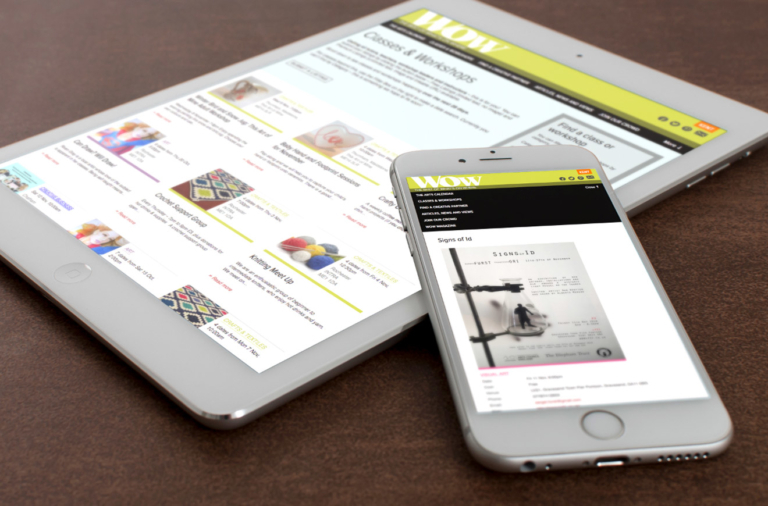 Wow is now exclusively online and now covers a greater area of Kent. After an initial consultation period the current format and functionality of the site was settled on. 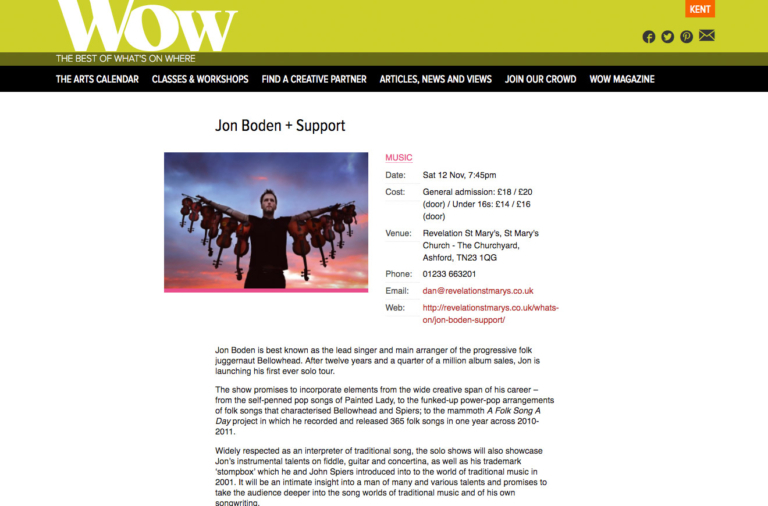 It comprises a calendar with bespoke filters that covers both free and paid for arts listings. 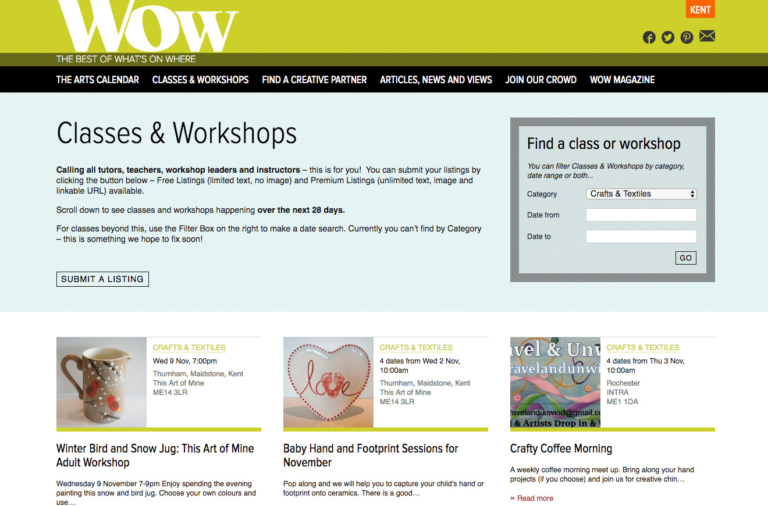 There are also comprehensive sections for ‘classes and workshops’, ‘articles and news and view’s, and ‘find a creative partner’. The Nebulo team became so enthused by and involved with what I wanted to achieve that they conceived a website far more engaging in concept than I had imagined myself: we ran with that idea, and what we made together will help my business far more than my original concept. I can wholeheartedly, unreservedly recommend working with Nebulo Design. I had the good fortune to work with most members of the team over the course of the time we were working together, and can affirm that every one of them had personal qualities which money can’t buy”.